What's the best ammo for a DB15 rifle? Has anybody done any testing / comparison of ammo performance from the DB15s? I know these rifles will cycle most types of ammo, but I'm curious which have the best accuracy. Re: What's the best ammo for a DB15 rifle? I've done some....any fmj bullet accuracy is what it is....I did most of my testing on 55gr bullets....Nosler and Hornady vmax were the best.. Unless I'm tweaked to go into competition, I'll stick with the average stuff for fun at the range. I happen to like the PMC Xtac 55 GR offering, but everyone's opinion differs. The 62 grain and 77 grain stuff if pretty awesome, but whether it's worth the extra $$$ is a matter to be discussed. 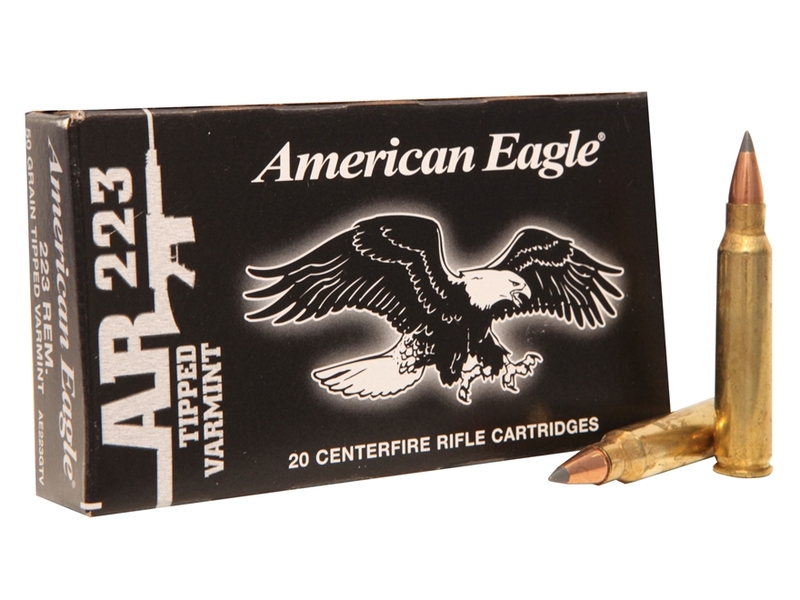 Has anybody tried Federal's American Eagle "Tipped Varmint" 50-grain 223 ammo? Apparently it's ~$10 per box and they use Hornady's V-Max boat-tail bullets. From what I've been reading online, a LOT of people really like this stuff in their ARs, especially for coyotes. I might pick up a box and give it a shot, but was curious if anybody had already tried it in their DB15. If it shoots as well as the Remington AccuTip 50gr boat tails I tested, and it's one-third the cost, I'll make that switch in a heartbeat! I'm buying some this weekend. Just went on sale at local Atwood's. Yeah...I realized after I posted. Mine hasn't even been sighted in yet.Lol!! Maybe this weekend. I just put a Magpul handstop on this afternoon and I'm liking it. 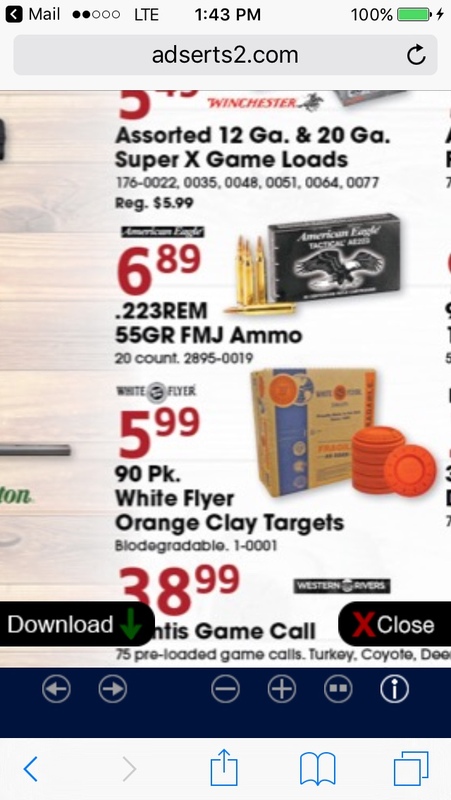 It seems this is not a well-kept secret, though, as it's fairly tough to find the ammo anywhere online that doesn't show the dreaded "Out of Stock" sticker. I did find some at Bass Pro Shops, albeit for a few more dollars ($12/box) so I ordered them and will pick up later this week. Hopefully the weather will cooperate so I can hit the range. As long as it shoots like everybody says, I may have to put in a bulk order shortly after that! Superbeau, you got me all inspired to try some of this but I can't find any in stock anywhere. I'll keep looking. Maybe try using Ammo Seek. If you input "223 Remington" for the caliber and "ae223gtv" for the keyword, it should return a bunch of results. The nice thing is you can sort by price/round, although you have to factor shipping costs in as well. Anyways, some options if local retailers are out of stock. I finally was able to put some of that American Eagle AR223 Tipped Varmint ammo down range today. Despite some trigger issues, it performed very well. I'll say it's a close 2nd to the Remington AccuTip 50-grain stuff, but it's literally one-third the cost. I posted more info on Post #25 in my Journal thread if you want to read the details. My DB15 likes Hornady 55 Grain V-Max the best. I consistently get sub-MOA groups. Oddly enough, 55 grain Wolf Military Classic has also given me great groups at 100 yards. For some reason it does better than American Eagle has for me. If it ever warms up in Indiana, I will get back on the range for some more tests.